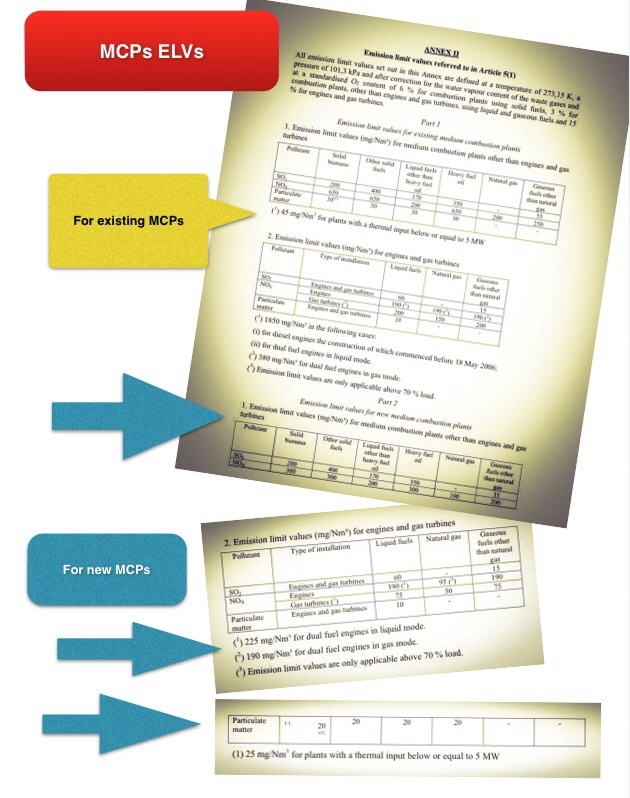 hereinafter referred to as the "MCP Directive"). "Medium combustion plants" in the EU legal environmental nomenclature mean combustion plants rated thermal input thereof is equal to or greater than 1 MW and less than 50 MW, irrespective of the type of fuel used (above that threshold combustion plant becomes "large" and subjected to the IED Directive - 2010/75/EU). The European Commission estimates the approximate number of medium combustion plants in the European Union at the level of 142,986 (in turn, MCP Directive Impact Assessment document mentions the following breakdown of the total number: 100,000 combustion plants between 1 and 5 MW, the group between 5 and 20 MW counts 23,000 plants, while there are only about 5,000 plants between 20 and 50 MW). This enormous number of installations covered by the MCP Directive is involved with the particularly spacious definition of "combustion plant" included in the text of the draft Directive, it means "any technical apparatus in which fuels are oxidised in order to use the heat thus generated" (definition identical with that contained in the IED Directive). The potential and practical uses of medium combustion plants are electricity generation, domestic/residential heating and cooling and providing heat/steam for industrial processes, etc.). Pursuant to the MCP Directive Impact Assessment document (p. 302) medium combustion plants (MCP) "should be considered not as a single sector but as a cross-sectoral activity relevant for the industrial, tertiary/commercial and residential/domestic sectors alike. Furthermore, a number of different technologies are concerned including boilers, heaters, engines and turbines. The new legislative framework imposes some administrative burdens on medium combustion plants, however of a lesser gravity when compared to IED - operators will not require a permit (like under the IED framework), but only notification of the operation of the plant to the competent authorities, also limited or simplified monitoring and reporting obligations are foreseen. However, it needs to be underlined, as follows from the recitals to the MCP Directive, the said Directive does not prevent Member States from maintaining or introducing more stringent protective measures, for example for the purposes to comply with environmental quality standards. MCP Directive reads, moreover, in particular, that in zones not complying with air quality limit values, more stringent emission limit values, which would also promote eco-innovation in the Union, facilitating in particular market access of small and medium enterprises, should be applied by Member States, such as the benchmark values set out in Annex III to the MCP Directive. The scope of the MCP Directive is defined in a way to avoid overlap with Directive 2009/125/EC or with Chapter III or IV of the IED. Some key definitions are formulated in a general and abstract manner, which enables maximum coverage. "Emission" under the MCP Directive means "the discharge of substances from the combustion plant into the air", while "combustion plant" denotes "any technical apparatus in which fuels are oxidised in order to use the heat thus generated". Some combustion plants are, however, exempted on the basis of their technical characteristics or their use in particular activities. (f) combustion plants which are covered by implementing measures adopted in accordance with Regulation (EC) No 1069/2009 of the European Parliament and of the Council where those implementing acts are setting emission limit values for the pollutants listed in Annex II of the MCP Directive. The above Impact Assessment notes that MCP do not cover "industrial dryers, process kilns and furnaces in which there is direct contact between the combustion waste gases and the materials processed or produced (such as cement clinker, lime, ceramics or asphalt kilns, wood dryers, glass furnaces, non-ferrous metals furnaces, coke ovens, etc. ), chemical reactors, and waste incineration or co-incineration plants. That is because these relate to different technologies some of which are being considered for regulation separately (e.g. furnaces)." The Impact Assessment also observed that emissions of air pollutants from MCP are not yet regulated at an EU level except where these plants are part of an installation covered by the IED either as a "directly associated activity" to an IED activity operated within the installation (e.g. combustion plants providing heat or steam to an industrial process listed in Annex I of IED) or where the plant is part of a wider combustion activity on site with a total rated thermal input of 50 MW or more (in line with the aggregation rule set out in the chapeau to Annex I of the IED)." A rough estimate is that 5% of plants in the 1-5 MW class, 10% of plants in the 5-20 MW class and 40% of plants in the 20-50 MW class are part of IED installations and, therefore, subject to the obligation to be covered by a BAT-based permit. Under the MCP Directive medium combustion plants will be allowed for operation only after being registered by the competent authority. For that purpose the operator of the medium combustion plant will have to submit a notification (pursuant to the MCP Directive wording the notification represents the minimum requirement, thus EU Member States are free to apply more rigorous procedures). The MCP Directive reads that the subject of said notification should be the "operation or the intention to operate" a medium combustion plant, hence the MCP Directive allows for - when it comes to timing issues - ex ante as well as ex post actions (presumably the determination on the choice between these two options will have to be made on the national level). 9. The name and the registered office of the operator and, in case of stationary medium combustion plants, the address where the plant is located. The term for the competent authority to register the medium combustion plant is one month of the notification by the operator. The register of medium combustion plants held by the national competent authorities will at least include the information contained in the notification, as well as any information obtained through the verification of monitoring results or other compliance checks. MCP Directive contains the transitory provision stipulating that existing medium combustion plants may be exempted from the notification obligation provided that all information required to be covered by the notification has been made available to the competent authorities. In such a case those combustion plants must be registered by thirteen months after the date of transposition. 'Emission limit value' in the MCP Directive means "the permissible quantity of a substance contained in the waste gases from the combustion plant which may be discharged into the air during a given period." Provisions on emission limit values are laid down in Article 5 of the MCP Directive, with the corresponding values applicable for existing as well as new plants in Annex II. The European Commission has proposed that the emission limit values apply to existing combustion plants after a fixed period from the date of application of the MCP Directive, in order to provide them with sufficient time to adapt technically to the requirements. In the MCP Directive framework "existing combustion plant" is a combustion plant put into operation before 1 year after the date of the Directives' required transposition (Member States are required to bring into force the laws, regulations and administrative provisions necessary to comply with the Directive by 1,5 years after the entry into force and the Directive is scheduled to enter into force on the twentieth day of its publication in the Official Journal of the European Union. The MCP Directive requires that from 1 January 2025 emissions into air of sulphur dioxide, nitrogen oxides and particulate matter from an existing medium combustion plant with a rated thermal input above 5 MW must not exceed the emission limit values set out in Part 1 of Annex II to the Directive (attached below). From 1 January 2030 emissions into air of sulphur dioxide, nitrogen oxides and particulate matter from an existing medium combustion plant with a rated thermal input of 5 MW or less must not exceed the emission limit values set out in Part 1 of Annex II. MCP Directive leaves the EU Member States a certain level of discretion as they are allowed to exempt existing medium combustion plants which do not operate more than 500 operating hours per year from compliance with the emission limit values set out in Part 1 of Annex II. In that case, for plants firing solid fuels, an emission limit value for particulate matter of 200 mg/Nm³ shall apply. Under the MCP Directive any combustion plant "other than an existing combustion plant" qualifies as "new" for the purposes of establishing the emissions limit values. From 1 year after the date of transposition of the MCP Directive emissions into air of sulphur dioxide, nitrogen oxides and particulate matter from a new medium combustion plant must not exceed the emission limit values set out in Part 2 of Annex II to the MCP Directive. Similarly as indicated above for existing infrastructure, Member States may exempt new medium combustion plants which do not operate more than 500 operating hours per year from compliance with the emission limit values set out in Part 2 of Annex II. In that case, for plants firing solid fuels, an emission limit value for particulate matter of 100 mg/Nm³ shall apply. The EU Member State competent authority may grant a derogation for a maximum of six months from the obligation to comply with the above-mentioned emission limit values for sulphur dioxide in respect of a medium combustion plant "which normally uses low-sulphur fuel, in cases where the operator is unable to comply with those limit values because of an interruption in the supply of low-sulphur fuel resulting from a serious shortage." The said competent authority is also allowed to grant a derogation from the obligation to comply with the above-mentioned emission limit values in cases "where a medium combustion plant using only gaseous fuel has to resort exceptionally to the use of other fuels because of a sudden interruption in the supply of gas and for this reason would need to be equipped with a secondary abatement equipment." The period for which a the latter derogation is granted must not exceed 10 days except where the operator demonstrates to the competent authority that a longer period is justified. Member States must immediately inform the European Commission of any derogation granted. (c) aggregating the fuel-weighted emission limit values. Article 5(4) of the MCP Directive requires Member States to apply more stringent emission limit values to individual plants in zones not complying with air quality limit values laid down in Directive 2008/50/EC. Member States must apply, for individual medium combustion plants in those zones, emission limit values based on the benchmark values laid down in Annex III to the MCP Directive or on stricter values established by the Member States, unless it is demonstrated to the Commission that applying such emission limit values would entail disproportionate costs and that other measures ensuring compliance with the air quality limit values have been included in the air quality plans required under Article 23 of Directive 2008/50/EC. 1. Periodic measurements of SO2, NOx and particulate matter are required at least every three years for medium combustion plants the rated thermal input of which is greater than 1 MW and less than 20 MW, and at least annually for medium combustion plants the rated thermal input of which is equal to or greater than 20 MW but less than 50 MW. 2. Measurements are only required for pollutants for which an emission limit value is laid down in the MCP Directive for the plant concerned. 3. The first measurements must be carried out within three months following the registration of the plant. 4. As an alternative to the measurements of SO2 referred to in point 1, other procedures, verified and approved by the competent authority, may be used to determine the SO2 emissions. 5. Sampling and analysis of polluting substances and measurements of process parameters as well as any alternatives used as referred to under point 4, must be carried out in accordance with CEN standards. If CEN standards are not available, ISO, national or other international standards which ensure the provision of data of an equivalent scientific quality shall apply. For medium combustion plants using multiple fuels, the monitoring of emissions must be done while firing a fuel or fuel mix that is likely to result in the highest level of emissions and during a period representing normal operating conditions. All monitoring results must be recorded, processed and presented in such a way as to enable the competent authority to verify compliance with the emission limit values. For medium combustion plants applying secondary abatement equipment in order to meet the emission limit values, the effective operation of that equipment is to be monitored continuously and the results thereof recorded. More information on costs of compliance with the MCPs monitoring requirements can be found in the Commissions Staff Working Document containing the evaluation of the impacts of this new piece of legislation. only periodic monitoring was assumed to be a reasonable option as the costs of continuous monitoring were considered prohibitively high. 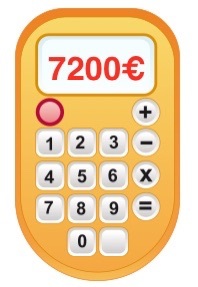 1-5 MW - 2400 €. For the above calculations, the monitoring frequency applied for combustion plants in the range 1-20 MW was once per three years and for combustion plants between 20 and 50 MW it was once per year. For natural gas fired plants only NOx monitoring would be required and costs per monitoring event are assumed to be only 50% of the above mentioned costs. Pursuant to the MCP Directive the EU Member States are obliged set up a system of environmental inspections of medium combustion plants, or implement other measures to check compliance with the requirements of the Directive. Operators of medium combustion plants must provide the representatives of the competent authority all necessary assistance to enable them to carry out any inspections and site visits, to take samples and to gather any information necessary for the performance of their duties. Member States must also take the necessary measures to ensure that the periods of start-up and shut-down of the medium combustion plants and of any malfunctions are kept short as possible. In case of a malfunction or a breakdown of secondary abatement equipment, the operator is obliged to inform the competent authority immediately. (c) the competent authority requires the operator to take any appropriate complementary measures that the competent authority considers necessary to restore compliance. If compliance cannot be restored, the competent authority is required to suspend the operation of the plant and withdraw its registration. Member States are required to ensure that no valid value of emissions monitored in accordance with the MCP Directive exceeds the emission limit values set out in Annex II. (d) a record of the fuels used in the plant and of any malfunctions or breakdown of secondary abatement equipment. The data referred to above must be kept at least for a period of ten years and made available to the competent authority upon request to verify compliance with the requirements of MCP Directive. The operator of medium combustion plant notify the competent authority of any planned change which would affect the applicable emission limit values. Such notification must be provided at least one month before the change takes place. Upon notification from the operator referred to above the competent authority is required to register any such change within one month. MCP Directive provides existing plants with a longer transitional period to comply with the limits along with longer periods for the smallest plant category. So, it looks like MCPs operators need to prepare for additional costs and (the major costs for abatement equipment notwithstanding) administrative burdens involving firstly costs incurred in very understanding legal requirements at issue, submitting notifications, responding to requests for information from regulators, as well as ongoing subsistence costs of providing monitoring reports, accommodating site visits by inspectors, reporting changes in operation, etc.